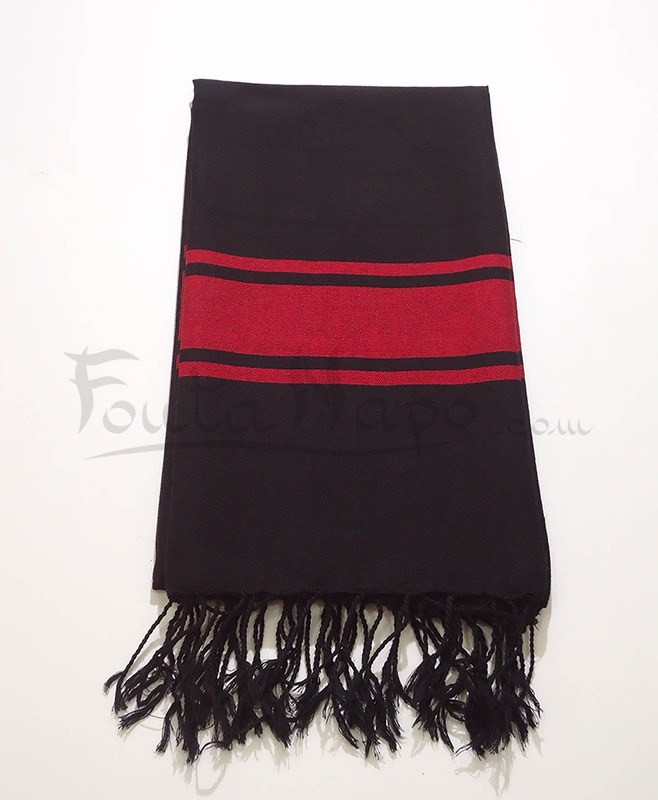 The fouta Black Djampou Classic, Black & Red, Size: 100 X 200 cm, flat hand weaving. 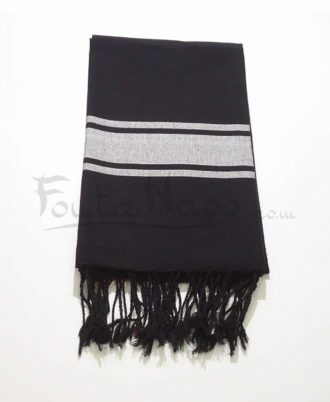 The fouta Black Djampou Classic Black & Red is woven by men on a loom and the fringes are hand knotted by women. 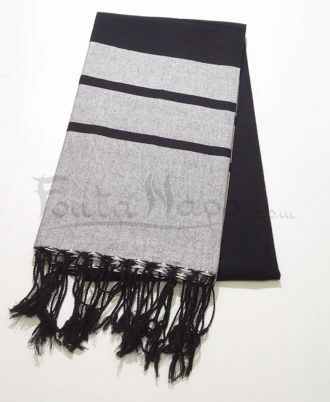 The Black fouta Djampou finds its flexibility from the first wash. This fashionable and affordable fouta is becoming a must for everyone and is an absolute favorite for women and men.